Woodland Manor, a spectacular estate in Brookline, hit the market last week for $90 million dollars. 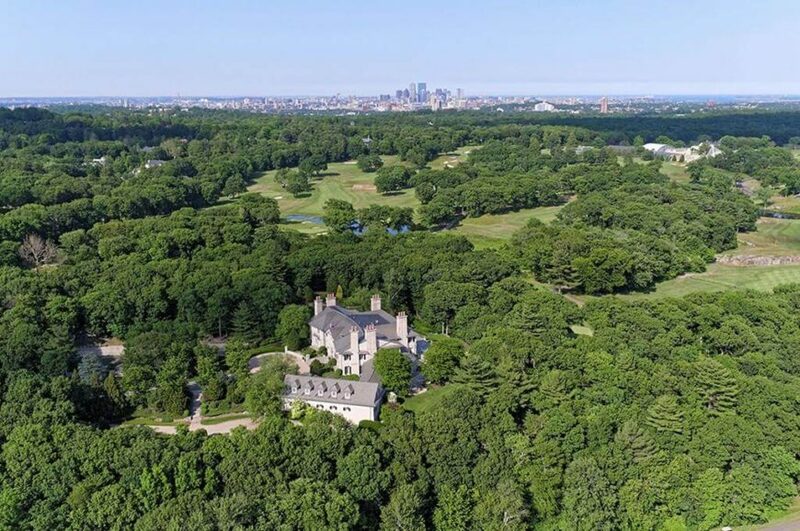 The immaculate estate covers over 14 acres in one of Boston’s most expensive areas, and it’s a mere 5 minutes away from Boston’s downtown. The estate is home to Paul Fireman, founder of Reebok and current chairman of Fireman Capital Partners. He is the one who bought and transformed the property from a rocky shrubby parcel into a beautifully manicured estate featuring rolling landscapes, ponds, and sculpted rock outcrops. In 2000, he bought the property and built the mansion that sits atop this magnificent estate. The 26,000 square foot home offers 8 bedrooms, 7 bathrooms, and 5 half bathrooms, a driveway that is almost a half mile, a 5 car garage, a grand entry and many more details to awe over. The property is located adjacent to the famous Brookline Country Club.